Absolutely gorgeous Charter Homes resale in Cambridge Pointe! 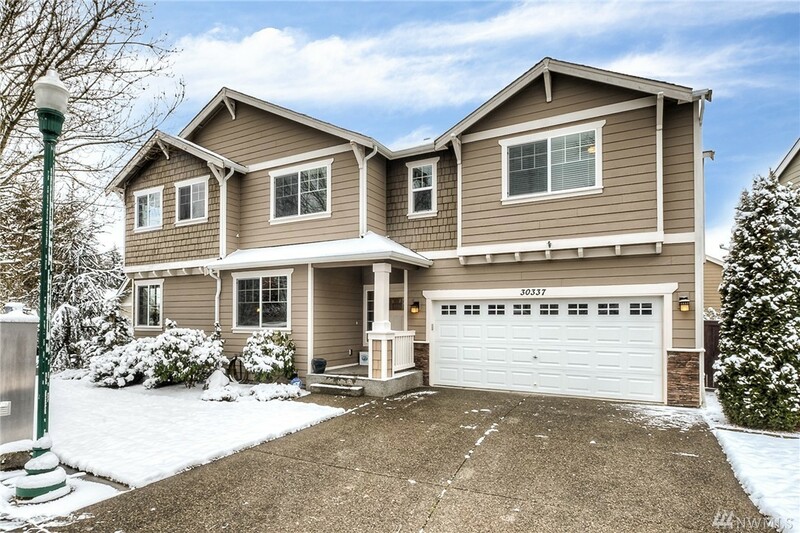 Bright & spacious open concept main w/hardwood entry, inviting living room w/gas fireplace, lovely dining rm & spectacular kitchen w/hardwoods, granite, SS appliances & island w/eating bar. Wonderful master suite w/territorial views, walk-in closet & private bath w/soaking tub & separate shower. Large bedrooms & guest bath, upper laundry, gas furnace & H2O, security sys., great schools & centrally located to Seattle, Tacoma & SeaTac! Selling Office: John L. Scott, Inc.